Our upcoming charity call is to help the Giving Hope Network http://www.givinghopenetwork.org/ with their “Stuffed Suitcase” program. They partner with organizations and donors to provide suitcases filled with important essential items to children in foster care who typically transport what little belongings they have in garbage bags. The initiative seeks to improve self-esteem and make children feel valued and special by packing each suitcase with needed comfort items, such as pajamas, robes, stuffed animals, books and unique, handmade items. The children are ages 3-16. 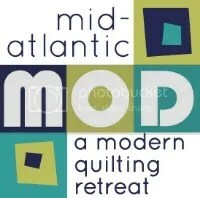 Our plan is to donate as many handmade pillowcases we can make for collection at the April NJMQG guild meeting. It’s a short timeframe, so this quick sew will get us closer to a greater volume of items to donate. We will also be adding our pillowcase count to the Million Pillowcase Challenge. I received many compliments on the pillowcases that I use to bring my quilts to our meetings. Your kind words lead me to believe that this would be a satisfying project for us to work on. Here are three easy tutorials. I used the roll-it-up burrito method to make mine – which also uses a bit less fabric. Perhaps you could ask friends and family who are interested in a non-quilting project to also get involved. Thanks in advance and we look forward to seeing all your great makes for such a good cause. Please email njmqginfo at gmail dot com if you have questions. ← Second Quarter Bee Block Swap!